I always seem to lose my sewjo in the beginning of the year but the one thing that never fails to get it back is the annual BostonMQG retreat. 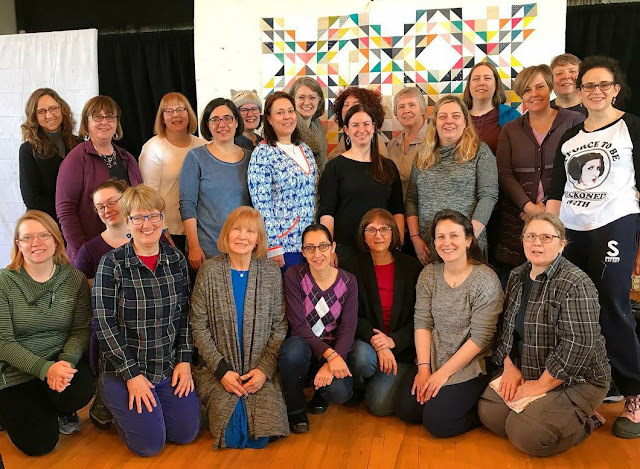 I am continually inspired by this insanely creative group of women! 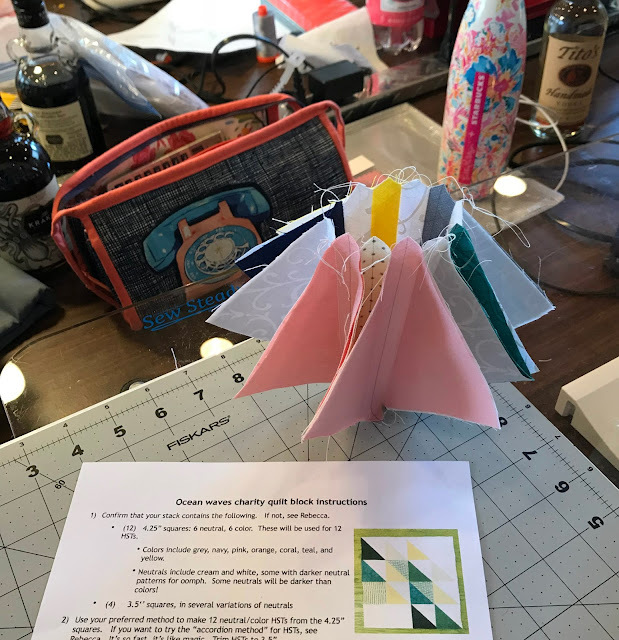 My first priority was to make the Dresden Plate centers for the quilt I started on retreat in 2015. 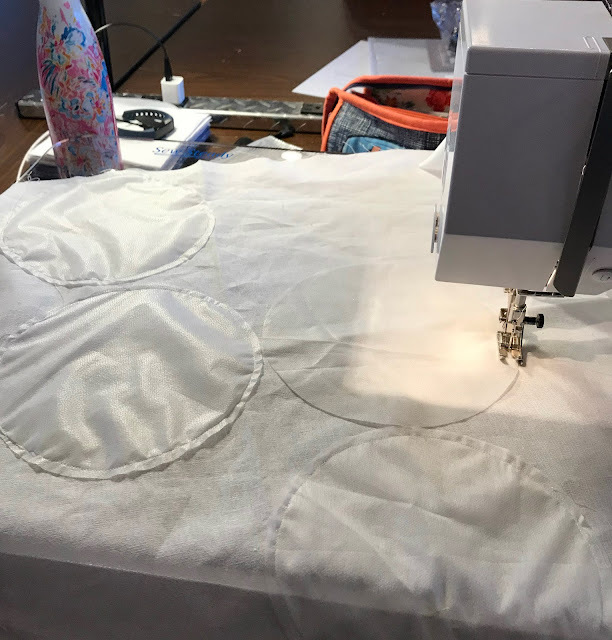 Sewing white on white circles is definitely an activity best performed while fresh and sober. 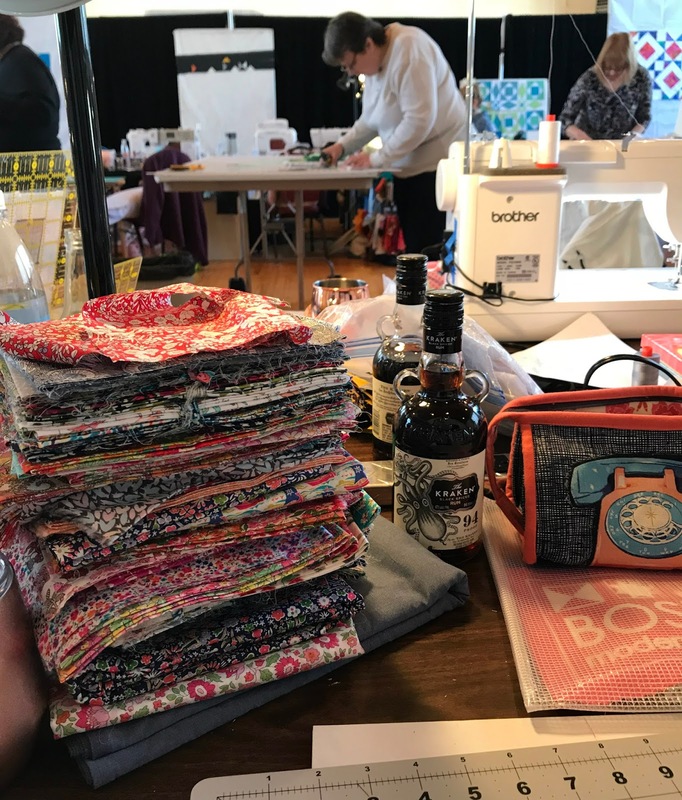 Before dinner I was able to get all of these made and the binding for this quilt done. I've finished hand quilting around the plates so I can almost see the finish line for this one. Poor planning on my part, I usually like to bring a mix of different things to work on but this was the year of the HST. 3 different projects made using 3 different techniques. I'm using the rest of these china blue fabrics and white linen to make broken dishes blocks. 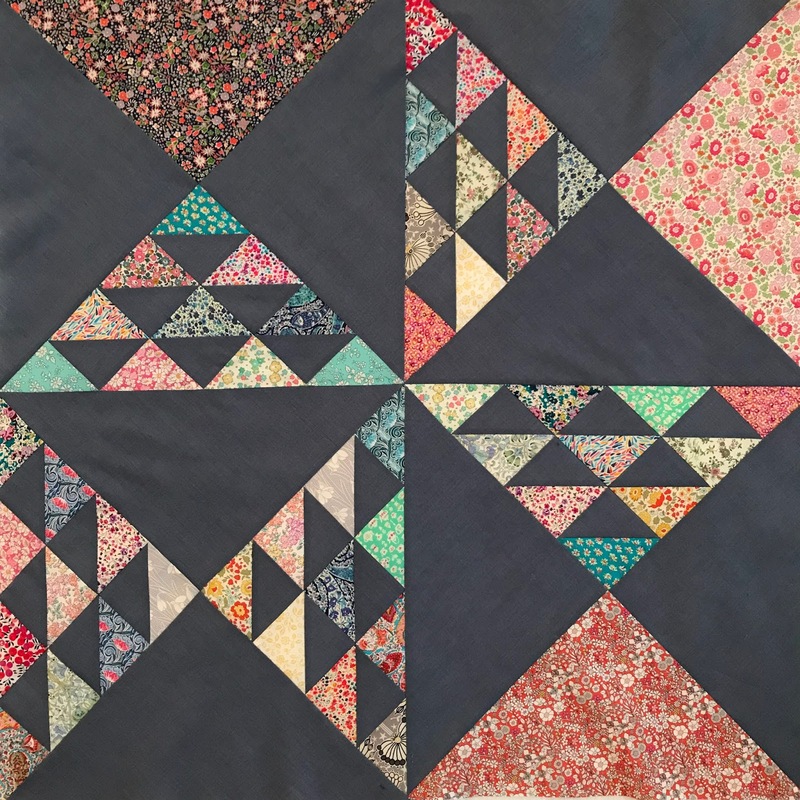 This 8 at a time method for making HSTs is perfect for these blocks. Saturday under threat of being shunned I made an ocean waves block for our latest charity quilt. I am now addicted to Eva Paige's genius technique for accordion sewn scrappy HSTs. Seriously, this will change your life!!! With my social status in the guild ensured I moved onto another project... the guild HST challenge. I finally broke into my long hoarded stack of Tana Lawns I've amassed with the help of Westwood Acres Liberty Club. Paired with a Kaffe Fassett shot cotton this top is as light as a feather. Before retreat was done I was able to finish this Spoolish flimsy. Now to get it basted and quilted. Sometime's the hardest part of getting started is just deciding what to do but with so many projects almost at the finish line I'm excited to get back to my studio and finish these up. Off to sew with this week's Finish it Up Friday by Crazy Mom Quilts. That last shot says it all!! Yup! 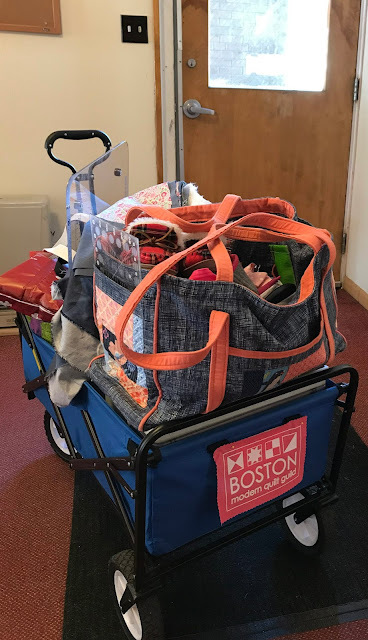 Going to retreat, everyone needs a wagon, trolley or whatever you call it! Love your orange handled bag!